Maryam Mirzakhani ( Professor of Mathematics at Stanford University, USA) is the first woman to ever win the Fields Medal in recognition of her contributions to the understanding of the symmetry of dynamical curved surfaces in an ergodic setting. Her Fields Medal was presented by the International Mathematical Union on Aug. 13, 2014 at the International Congress of Mathematicians, held this year in Seoul, South Korea. Maryam Mirzakhani was born in 1977 in Tehran, Iran. She went to high school in Tehran at Farzanegan, National Organization for Development of Exceptional Talents (NODET). She competed and was recognized internationally for her math skills, receiving gold medals at both the 1994 International Mathematical Olympiad (Hong Kong) and the 1995 International Mathematical Olympiad (Toronto), where she was the first Iranian student to finish with a perfect score. Later she was granted an IPM fellowship, Tehran, 1995-99, to earn a BSc in mathematics (1999) from Sharif University of Technology in Tehran, Iran, and to publish: Maryam Mirzakhani, Elementary number theory, challenging problems (Farsi), Roya Beheshti, Fatemi Publishers, Tehran, Iran, 1999. Then Maryam went to the United States for graduate work, earning a PhD from Harvard University (2004), where she worked under the supervision of the Fields Medalist Curtis McMullen. She was also a 2004 research fellow of the Clay Mathematics Institute and a professor at Princeton University, USA. 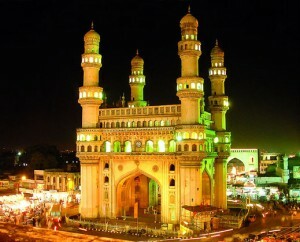 Last year the ICM , which is the most prestigious and most traditional event in mathematics, took place in Hyderabad, India. 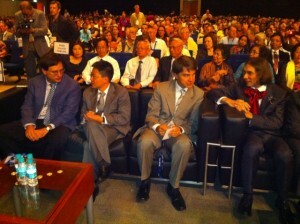 About 3,000 mathematicians attended. At its opening ceremony, the Fields Medals were awarded; maths’ most coveted prize. And the event has a history going back to 1897. No other scientific discipline has an event as big and with as much historic resonance.The purpose of the ICM – which in its postwar period has taken place every four years since 1950 – is to present a summary of recent achievements and to set the agenda of where the subject is going. A woman has never won a Fields Medal. But apparently this is changing. For a start, the ICM announced in Hyderabad that it has elected a woman president for the first time in its history: Ingrid Daubechies (Belgian), aged 56, a world star in wavelet analysis. Abstract: The workshop will address risk management, with an emphasis on risk measure, credit risk, liquidity and risk the computational challenges facing the modern developments in quantitative finance such that numerical problems arising from the discretization of backward stochastic differential equations, solving optimization problems in high dimension, etc.